Amortech launches anorther amazing web project for Alberta’s top collection agency and debt recovery firm. This is a great example of our well rounded skills for delivering attractive and highly functional marketing pieces. Bison Credit Solutions Ltd (BCS) is a Calgary based collection agency and debt recovery firm that engages in collection management of active and delinquent accounts. Our mission is to produce maximum “net-back” collection recovery for every client served, in a manner consistent with your desired public image. New marketing tools including business cards, brochure, letterhead etc.. 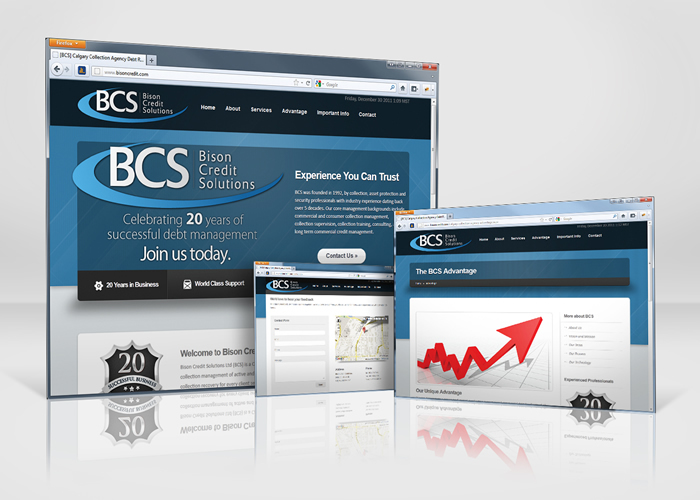 Contact us today to revamp your web presence and bring your firm to the forefront.